For the first time in the competition’s history, Spanish capital rivals Real Madrid and Atletico Madrid – who captured the Copa de Rey, La Liga and Champions League between them last term – meet in the two-legged Supercopa de Espana. There may be nothing to go on with regard to the pair’s shared past participation in Spain’s curtain-raiser, but we’ve had a dig down into the Supercopa annals to bring you a multitude of betting lessons, keenly distilled into a number of handsome wagers. 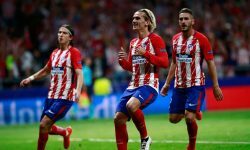 Atleti have appeared in the Supercopa four times since it became a home and away fixture, and only once – last year, incidentally – have they managed so much as a draw in the first leg. The last time the La Liga title holders were top dogs in Spain, back in 1996, Barcelona took them apart 5-2 at the Camp Nou before a face-saving 3-1 home win. Los Colchoneros’ Supercopa first-leg record reads played four, lost three, drawn one since 1988, and they haven’t lifted the trophy in four attempts over the last 23 years. Atleti’s 1-1 draw at the Camp Nou 12 months ago is the only Supercopa first-leg fixture that has shuffled under this goal-line in the last six seasons. Considering all-but one of the previous five featured at least 3.5 goals, 19/10 on four or more at the Bernabeu will also appeal, although the safest route to profit may be found in combining a home win in a match with over 2.5 goals at 29/20. After four Supercopa first legs in a row saw only one side find the net from 2004-07, this bet has come up in each of the last six such games. With that in mind, 4/5 on an outcome occurring for the seventh successive season seems sizeable. In four of the last five Supercopa first legs, including each of the last two, the onion bag has been rippled at least once during this time period. None of the other five quarter-hour segments come close to matching those numbers since 2009, with bets on over 0.5 goals between 75 minutes and full-time, priced up at evens here, only coming up twice. Which of Everton, Spurs and Man Utd fits best for Barcelona outcast?